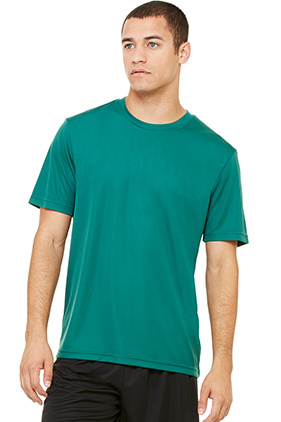 100% polyester interlock.. 4.1 oz Men's performance tee is lightweight and versatile. Dry Wicking. Antimicrobial.